The founder of Alexanderia's Kingdom, Jeri Rajha, is pleased to announce the organization of an arts festival in the virtual world of InWorldz. 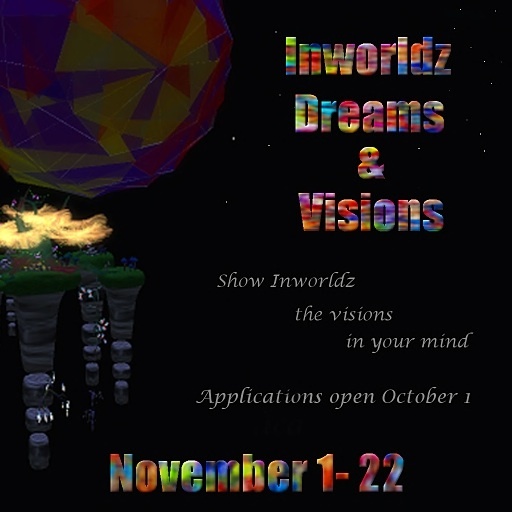 The "Inworldz Dreamz & Visionz" festival will be a juried event with prizes to be awarded to the selected first and second place winners on each of the four SIM's. Applications are being received now for up to 64 plots for either individuals or for teams of up to four artists. The festival will commence on November 1st with the plot assignments and plots open for build. Then on the 12th of November an opening event will be held and the artists works will be open to view and the judges will begin their selections. 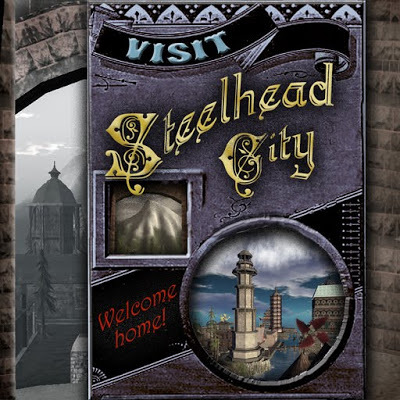 - If you haven't already done so, you will need to create an account and log into InWorldz. 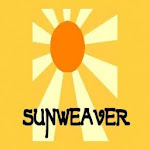 Applications are available through festival organizers and in key locations through out the grid. 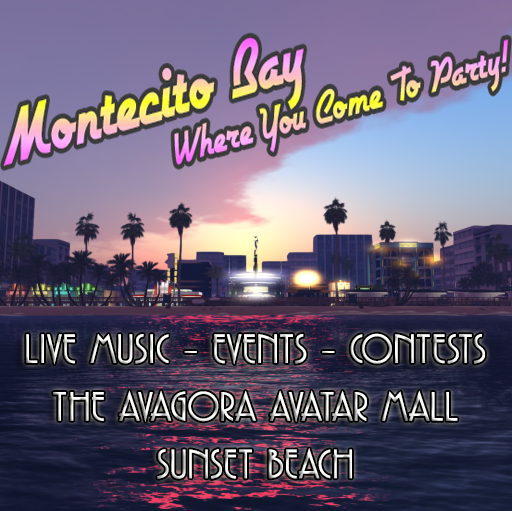 Additionally festival information can be obtained through the Inworldz event forum. IW resident can send their completed Application Notecard to Jeri Rahja. Also IM her so she can chase any NC that get lost. Once all plots are filled the plots on the SIM's will be allocated by random ballot. The lucky 64 individuals/teams will be notified via NC and IM and supplied with a creator's package which will include further info on how to proceed. JayJay Zifanwe of UWA in SL has graciously agreed to being one of the Judges for InWorldz Dreamz & Visionz Art Festival - he hosts SL's longest running and largest Art Challenge so has plenty of experience in looking at and assessing virtual artworks.